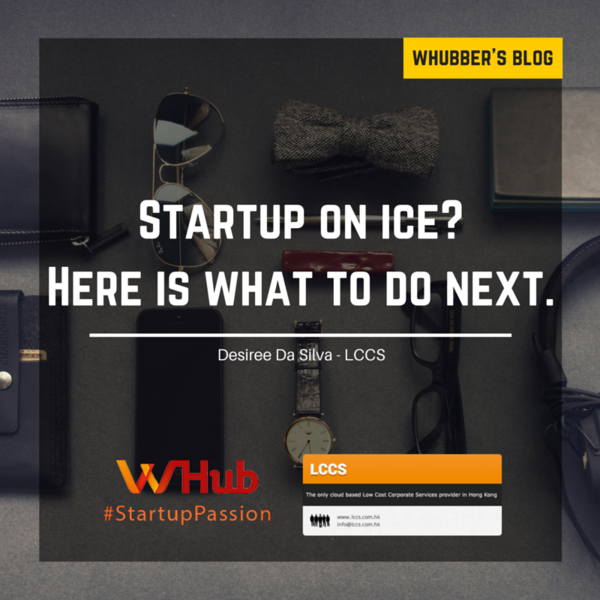 Startup on ice? Here is what to do next. Startup failure is awful , and people usually avoid mentioning it, but it happens. And when it does, you may face the struggle of what should you do next. 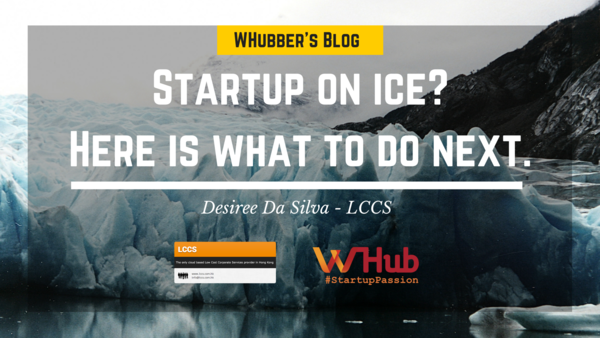 Courtesy of Desiree Da Silva from LCCS, she wrote a blog post to talk about what your choices are. See the original post here. You may need to postpone the launch of your first operations or put your business on hold for some reason. In the worst case scenario, you may even have to consider deregistration. Whatever the circumstances by making the right move at the right time, you can save on costs if you know what you are doing. Read on to find out your options. The term “dormant” applies to a Hong Kong limited company that, in legal terms, has “no significant accounting transactions” during a financial year. Note that this is not the same as a “non-trading company,” a term that has no legal meaning. No significant accounting transactions mean no entries in the company’s accounting records. The amount paid for shares when the company is first formed, and a few costs that the company may incur to keep the company registered at Companies Registry, do not count as significant accounting transactions. An annual business registration (BR) fee, as well as annual return (AR) filing fee are still payable. Bookkeeping should continue to be prepared, but audits will no longer be required. In other words, if you are not planning to operate with your company on a short-term basis (less than 2 to 3 years), it is highly recommended you officially register the company as dormant. Taking this action will imply some professional fees, but you will only face minimum costs. On the contrary, if you have no plan to operate your company on a medium/long-term basis (more than 2 to 3 years) and do not want to support any costs, the only alternative is to deregister the company which will imply higher professional fees but no more future costs.